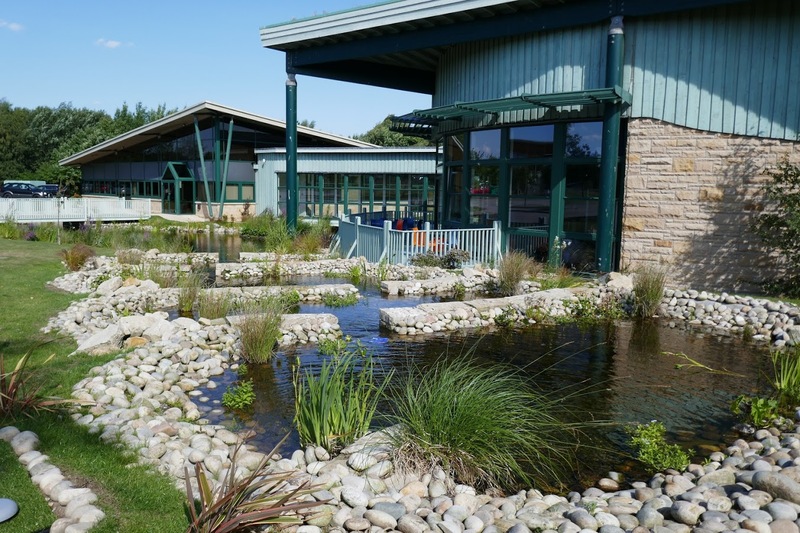 Through a competitive tendering process, Biomatrix Water, supported by Water Gems was appointed by Highlands and Islands Enterprise to design and build a pond at the HIE Enterprise Park in Forres, Moray. 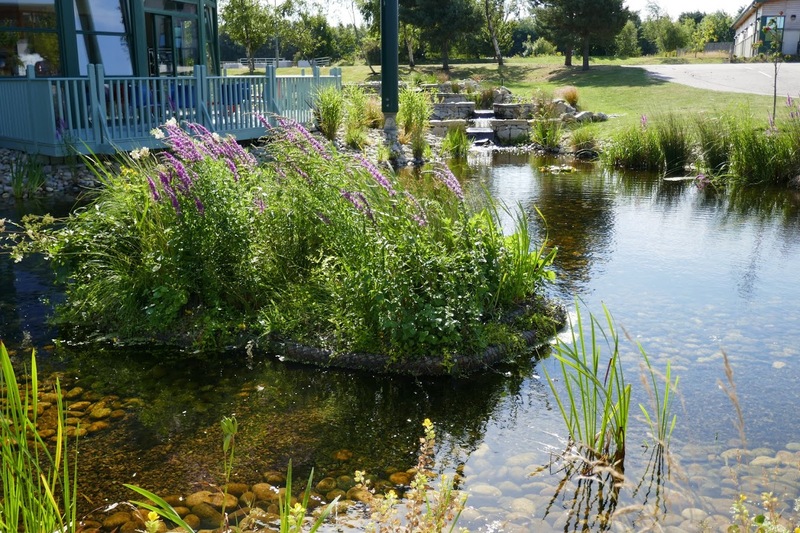 The pond, which is right outside the Biomatrix office, needed to achieve a high aesthetic value and function as a Sustainable Urban Drainage System, to receive and treat stormwater. The design and construction needed to incorporate two existing bridges and pipework and complement the architectural design of the Horizon building. 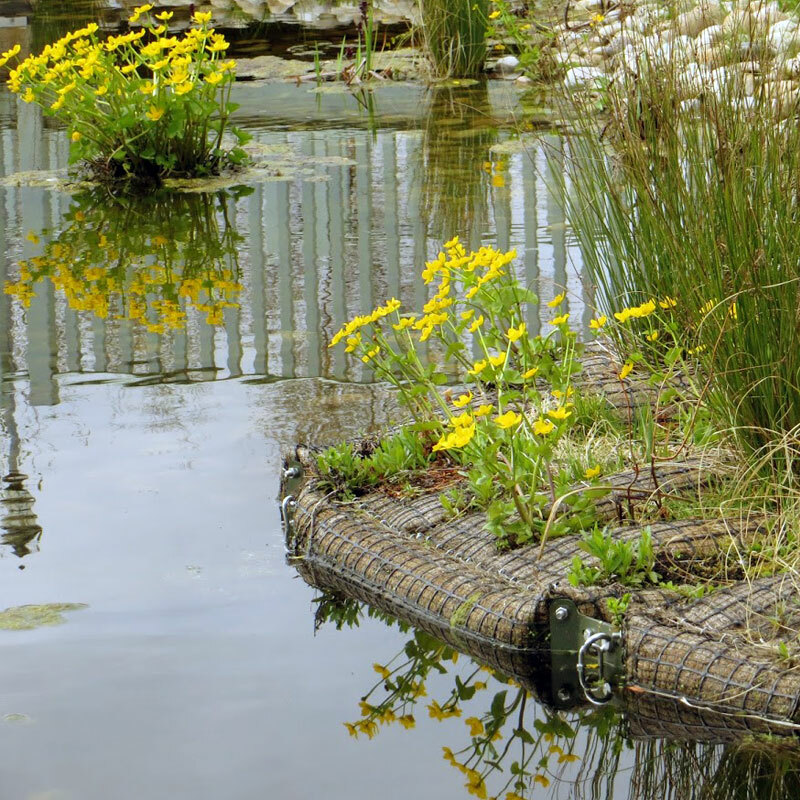 Biomatrix Water designed the pond to incorporate a four-step pool cascade, a floating island, planting shelves and an integrated subsurface horizontal Active Edge Filter. 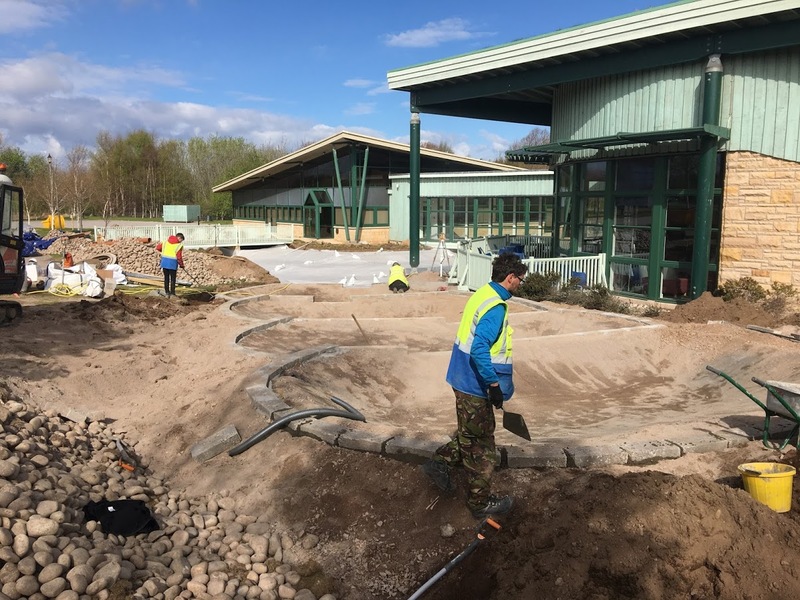 The system achieves multiple functions, acting as a water retention and treatment facility while also forming an attractive green feature for the Forres Enterprise Park.  To optimally treat the incoming rainwater, an Active Edge Filter was incorporated in the design. 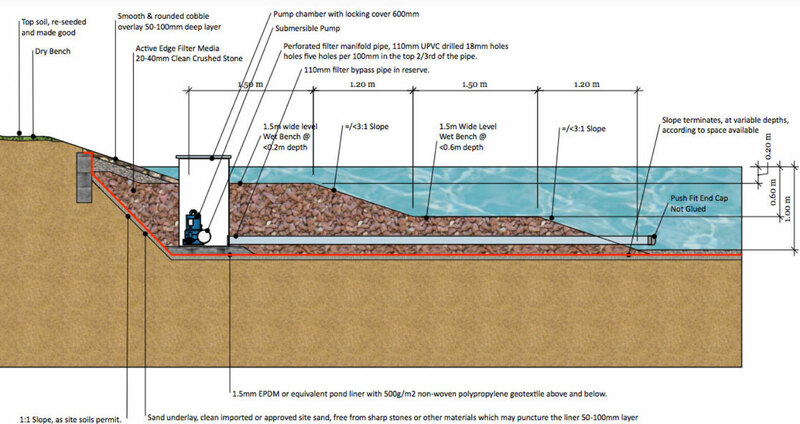 This filter draws in water through 30 tons of gravel, with the outflow discharging to the top of the pool cascade. There, the water is oxygenated as it tumbles down the cascade steps. 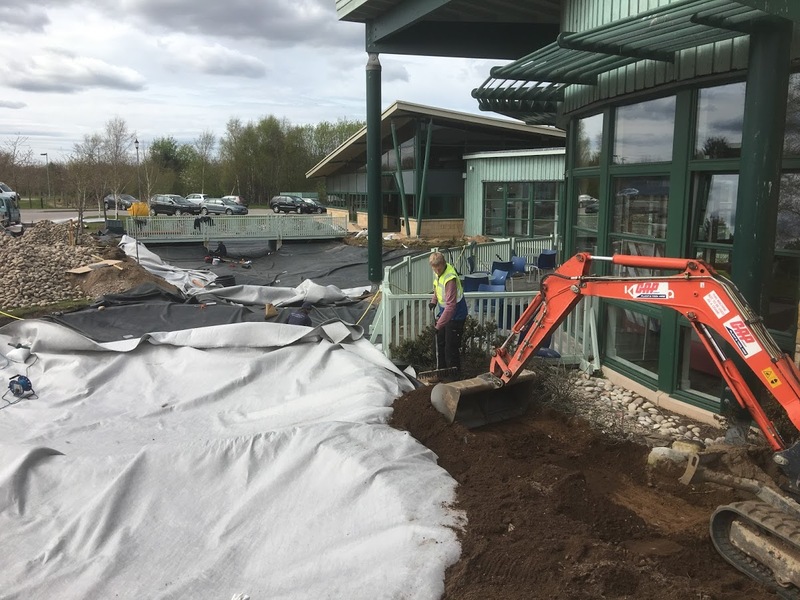 The Biomatrix team are trained firestone installers and they selected a 1.5 mm heavy duty geotechnical EPDM lining system, working in collaboration with Watergems during the lining process. 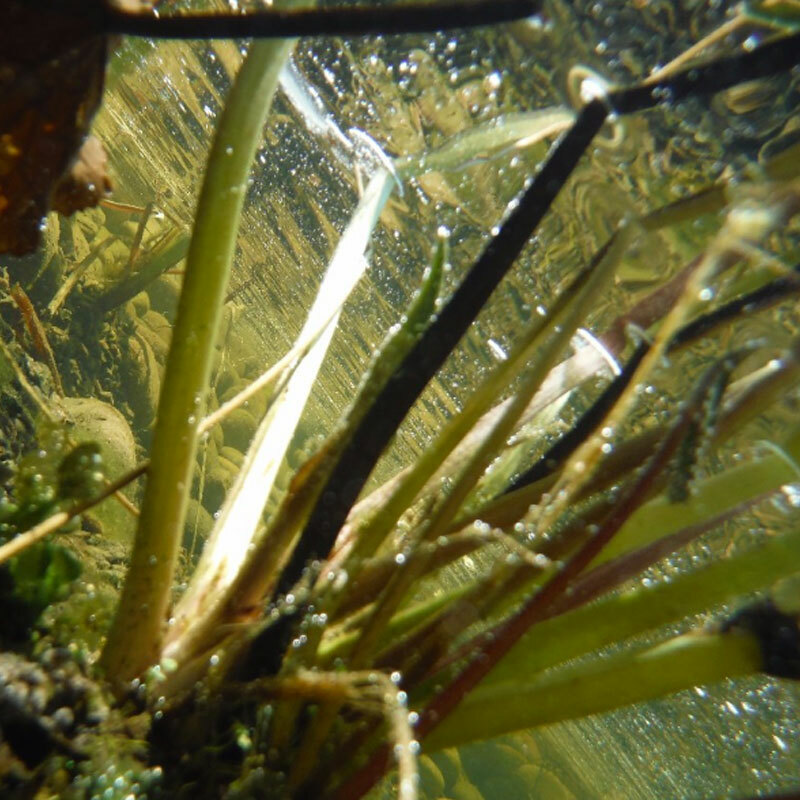 20 species of native aquatic plants were selected and placed in the pond and on the floating island. 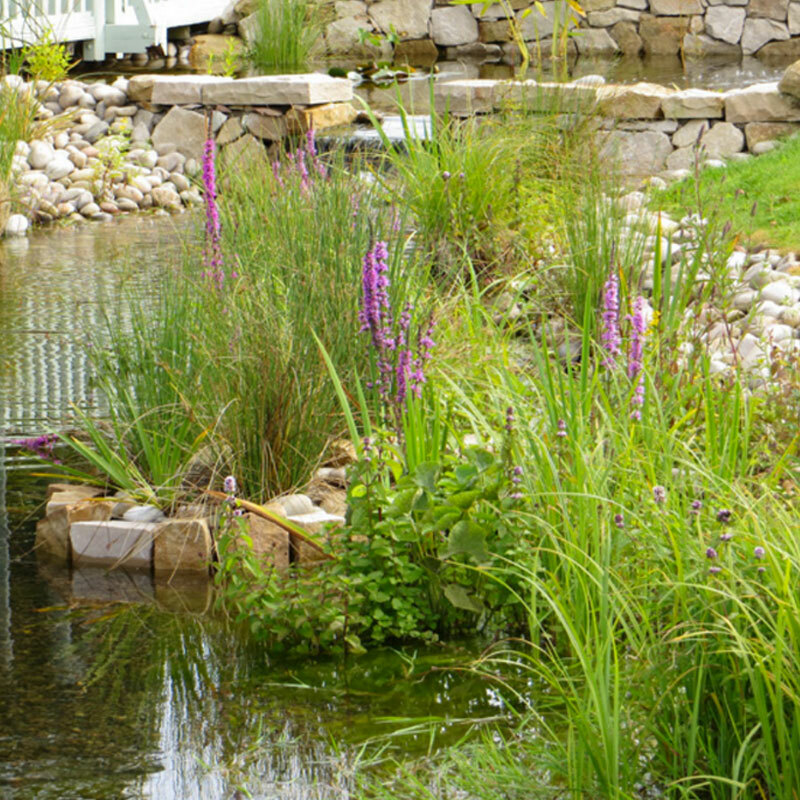 The planting was further complemented with colourful species and ornamental grasses to create a soft edge around the Horizon building. The project has attracted visitors from the Cairngorm National Park Authority (CNPA) team as well as other business and local residents. It offers an example of the aesthetic benefits that can be achieved with a well designed SUD system.